Our Teacher Advisory Group recently examined some objects in our collection and discussed how they might use them in classrooms to augment a visit to the Museum. 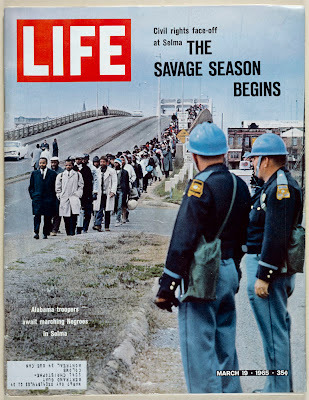 One such discussion, which focused on civil rights and the ethics of law enforcement, analyzed this Life magazine issue from March 1965. 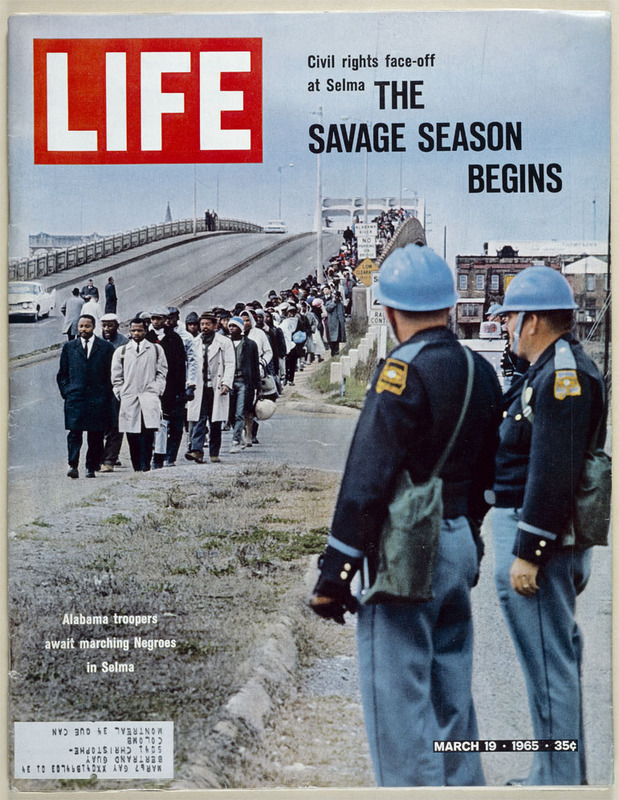 Pictured on its cover is a powerful image showing a peaceful march across the Edmund Pettus Bridge in Selma, Alabama, towards a line of officers in riot gear. The teachers suggested an activity that would encourage students to put themselves in the place of one of the individuals in the photo and think about what they would do in this situation. As an officer? A protester? Or a spectator?